inspiring views of the picturesque Lake Champlain Valley of Vermont. Available by the day, week or month. Each suite is unique, so please use the pages on our web site to help you select your best fit. Call if you have questions. 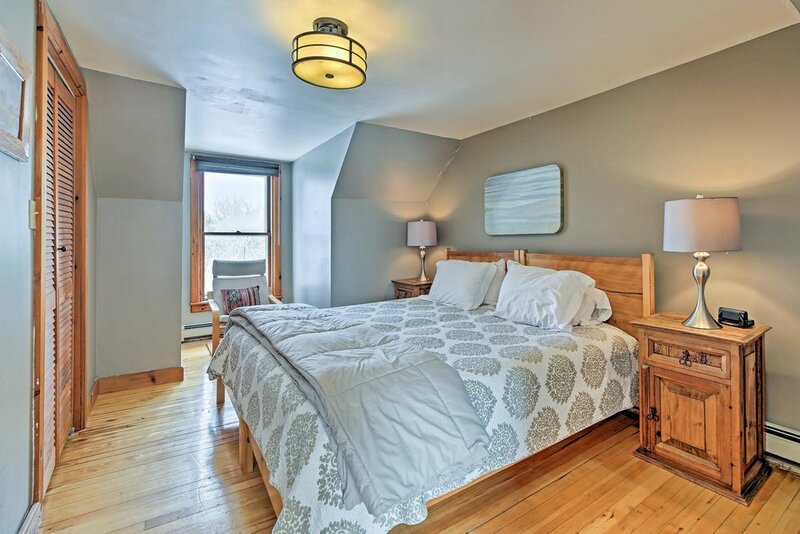 Common features include private entrances, hardwood floors, Vermont stone counters, locally sourced soaps and foods in our breakfast basket, simple sturdy furniture. The overall design is relaxed, understated, comfortable, casual. Continuing the ethic of the Mt. Philo Inn Commune of the early 70’s we leave you alone. Everything you need is accessible to you. Inn staff are available 24/7 should needs arise.. The 3 bedroom, 1600 sq. 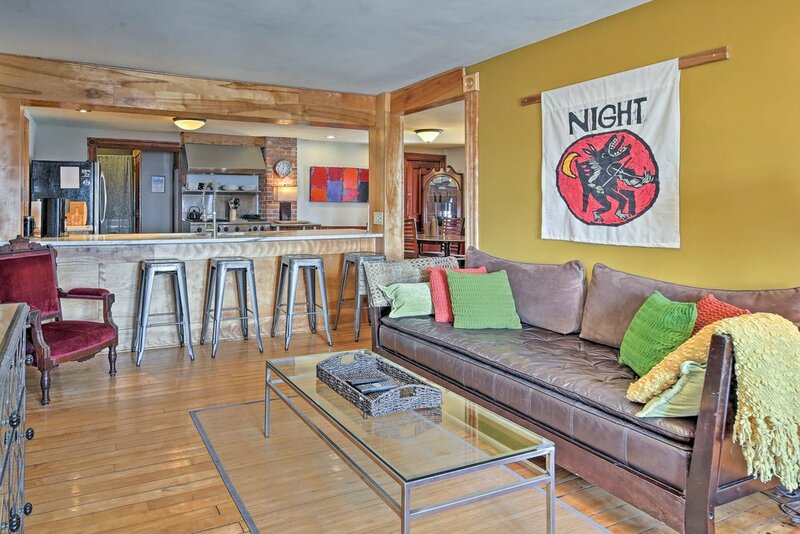 ft. Left Wing occupies most of the 2nd floor, with hardwood floors throughout, antique door hardware, spun aluminum artwork by Homer Wells, large Vermont marble kitchen counter, handmade beds, great views of the lake from 5 windows and a porch. The Right Wing has 3 bedrooms on 2 floors, and occupies the entire third floor of the inn. An office area, one bedroom and a bathroom comprise the downstairs, with most of the 1800 sq. ft. of living area upstairs. The living room has great views from windows east, west and north. The Hawks Nest porch sits on the south side. 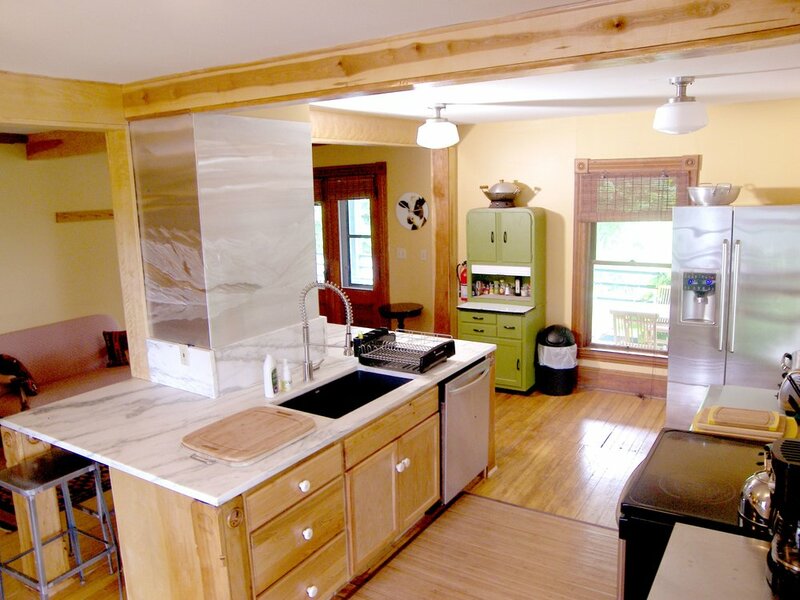 Vermont granite counters, stainless appliances. 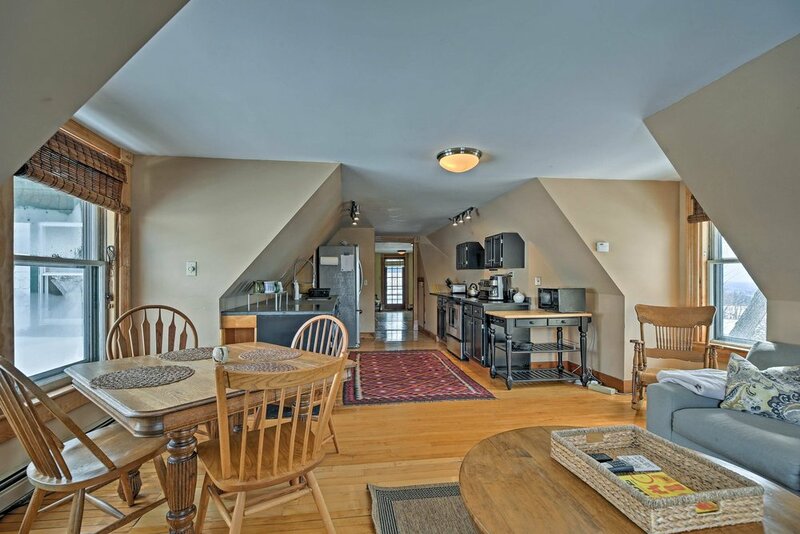 The Carriage House has 2 bedrooms on 2 floors. 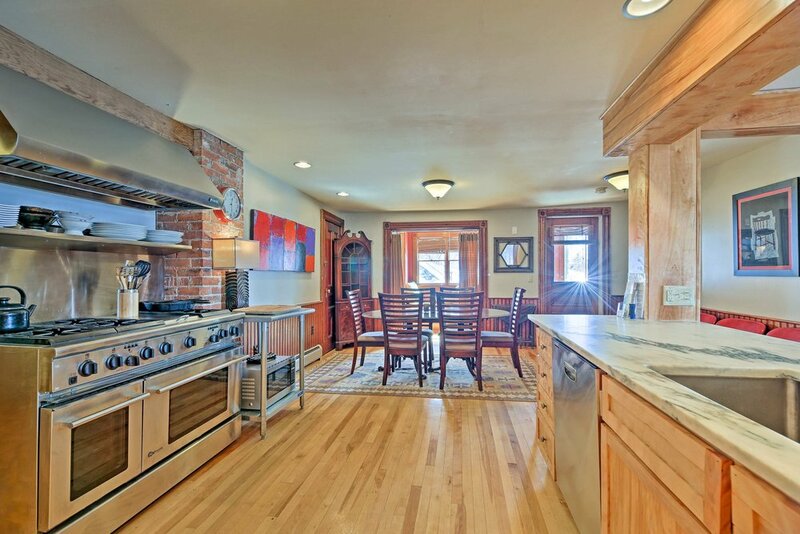 The kitchen features a Vermont coral reef counter, stainless appliances. The downstairs bathroom is made from reclaimed blackboard slate, with a no-threshold steam shower and water jets. The accessible open floor plan living room has a 55’ smart tv and faces the north lake view, with flower gardens and a water feature. The upstairs bathroom has a jetted bubbler soaking tub. The master bedroom features a handmade king bed.